A man walks across an old European capital. Heavy snow falls. He has come here from far away, hoping to forget. Instead, he remembers: home, war, lost friends. Complicity. In the company of a new friend and alive to the new experiences of the city, he moves through the snow and his complicated history in search of an apartment. 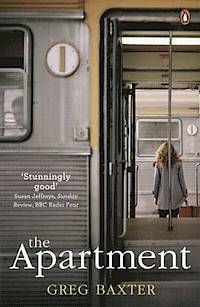 The Apartment, by the author of the acclaimed memoir A Preparation for Death, is a novel about war, the relationship between America and the rest of the world, and the brittle foundations of Western culture- but above all it is a book about the mysteries and alchemies of friendship - truthful, moving and brilliant. 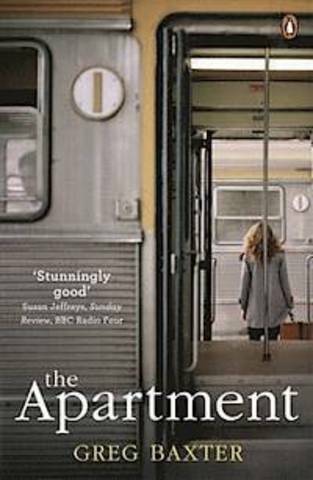 Acclaimed by Hisham Matar, Adam Thorpe and Roddy Doyle, among others, The Apartment is a deeply original and profoundly involving novel. Greg Baxter was born in Texas in 1974. He lived for a number of years in Dublin, and now lives in Berlin. He is the author of the acclaimed memoir A Preparation for Death. The Apartment is his first novel.